Skiathos produces good quality olive oil, grapes, cereals, fruits and vegetables. Viticulture is highly developed since the ancient times and the wines of Skiathos are known for their good quality and their heavenly taste. The most famous wines are the dark red Skiathian wine which is among the best of its kind, the moschato wine made of various grapes which has a sweet floral taste and the wine called alypiako. 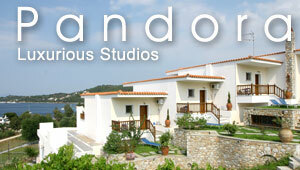 As Skiathos is a lush green island with pine trees, it is a large producer of honey. Honey from pine trees has a special dark colour and nice aroma.